Summary: Layers of Fear is Scary Beautiful But Scary Boring! 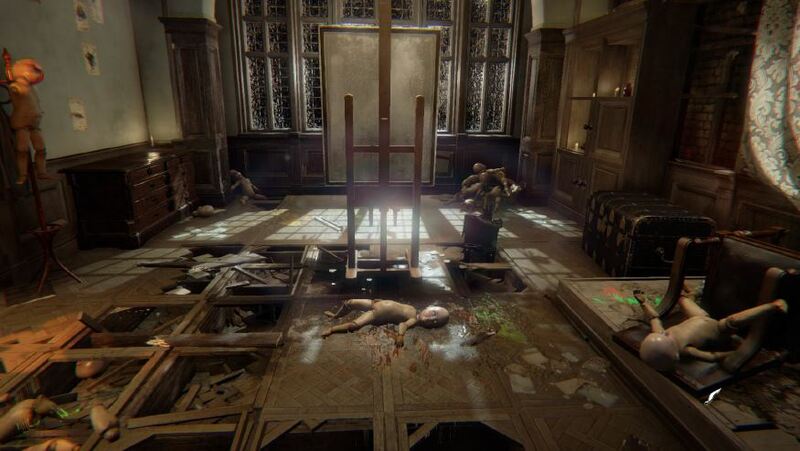 Team Blooper’s Layers of Fear doesn’t exactly invoke what the name suggests. 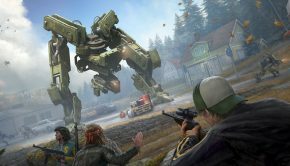 There are no layers, instead the fear that I was hit with throughout the admittedly interesting but underwhelming 3 hour story, is the fear of whether or not the game was going to pick up at all; Spoiler alert, it doesn’t. Layers of Fear uses the same old jump-scare, shock factor tactics like all other indie horror titles in the past decade, thrown into a boring walking-through-a-scary-house simulator. The DLC, Layers of Fear: Inheritance, is no exception to this either with an interesting addition to the story, but lack luster at best gameplay and horror aspects. Layers of Fear’s story is the glue that holds the game together and makes it some what worth playing. It follows the journey of an aged and mentally frail artist, whom returns to his decrepit mansion in order to finish his masterpiece painting. Although, as he tries to put the pieces together to create said masterpiece, his regrets and guilt of terrible things he had done throughout his life are dug up from deep within morphing his reality and summoning an evil, sinister, darkness that continues to follow him until he has finally finished his painting. What’s even more interesting is that depending on how you play the game, you have a chance of unlocking one of three endings; A good ending, a neutral ending and a bad ending. This is one of the only things I like about the gameplay because it links in with the good storytelling and it gives the player the power to change how this character’s story will end and have you thinking, will he die? Will he finish his painting? Because the option for both of those things are on the table. 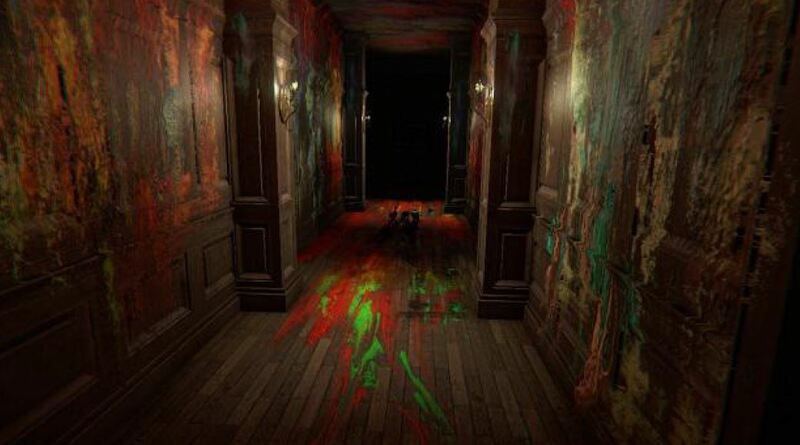 The purpose of the game is to find six things that the protagonist needs to complete his masterpiece, after unveiling the canvas for the first time, you will go off through a series of linear pathways through different hallways and rooms throughout the mansion to uncover these six items. This quickly becomes a repetitive, rinse and repeat process and you’ll find discover very quickly that the house’s interior really doesn’t change or become more interesting in any way. Other than the occasional cheap, unoriginal illusion-like melting walls, floating furniture and walking into a room and the disappearance of doors and location change of rooms, which tries it’s best to portray the decline of the protagonist’s psyche, as well as trying to make the player feel disturbed, uneasy or feel their own psychological state being impacted like it would if you were playing games such as Silent hill or Amnesia. But it fails at both of these things, it didn’t make me feel like I was experiencing this man’s psychological decline, it felt like I was walking around the same rooms over and over, in the same house, getting spooked by the same boring loud jump-scares, opening drawers and cupboards to find lore related letters and trying to find six random items that mean nothing to me or the game’s story, its a drawn out fetch quest with an climax that doesn’t pay off. 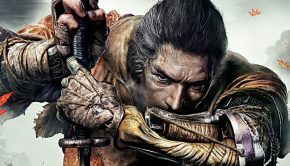 The same can be said for the DLC, Inheritance, which does have a lot of differences here and there as it follows a completely different character, the protagonist from the main game’s daughter, as she revisits the mansion, the same as her father did and experiences many of the same things which turns out to be a very familiar and drawn out hour of gameplay. 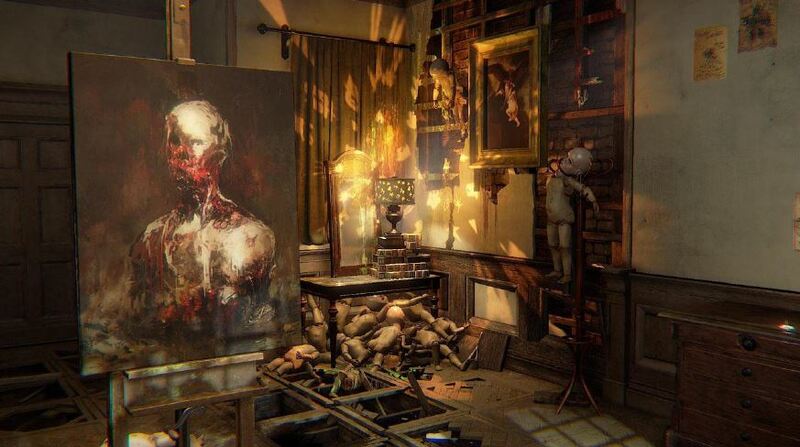 Layers of fear’s visuals however are absolutely beautiful. 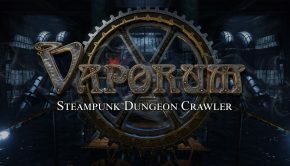 For a game that started off as a cheap, unfinished indie game on steam there has been a huge improvement on many graphical aspects of the game, including the textures right down to the smallest details, the lighting that actually makes you feel like you’re in an old decaying mansion. Although, this isn’t experienced to it’s full potential because there are often frame rate drops which take away from the game’s beauty more often than I would have liked. The sound design off the game is pretty standard for a horror title of this calibre. 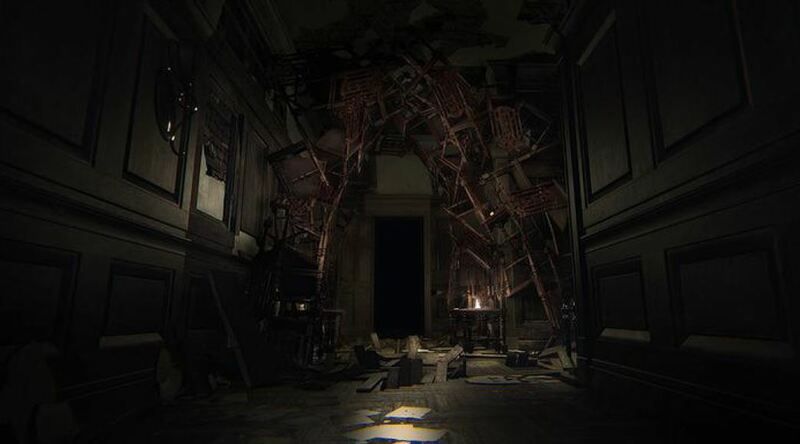 The usual spooky, moody atmospheric melodies play softly throughout but there are large portions of the game that are silent, amplifying the players footsteps, creaky floorboards and walls, and the overly loud crashes, bangs and screams when hit with a jump-scare. 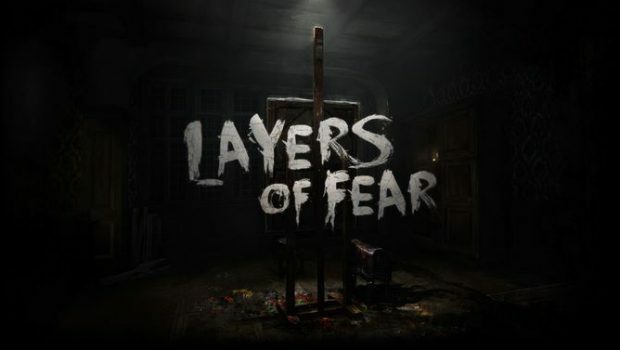 From a visual and story point of view, the Layers of fear masterpiece edition is indeed a masterpiece, but it is a game, and sadly the entire gameplay side of things is extremely disappointing and turns what could have been a very impressive and cutting edge psychological horror title up there with the likes of Silent Hill, into nothing more than another boring and generic indie horror, so short that even the $30 its in the PlayStation store for is a stretch.